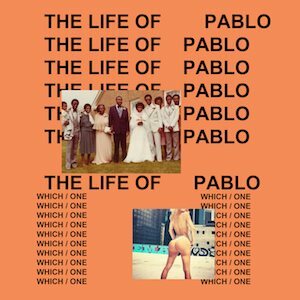 Looking back I felt 2016 was a particularly strong year for music. In many genres and styles. Two albums for me though stood above the rest and I had a hard time deciding on my number one. 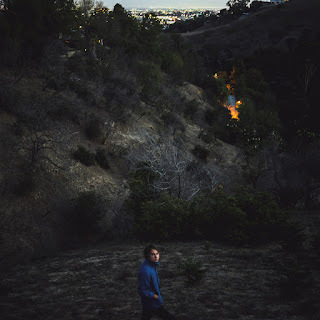 In the end I went for the impossible beauty delivered in the third album by Kevin Morby. I loved it in total. Each song speaking to me in a very personal way. Elegant melodies and heartfelt lyrics, it was a complete joy. 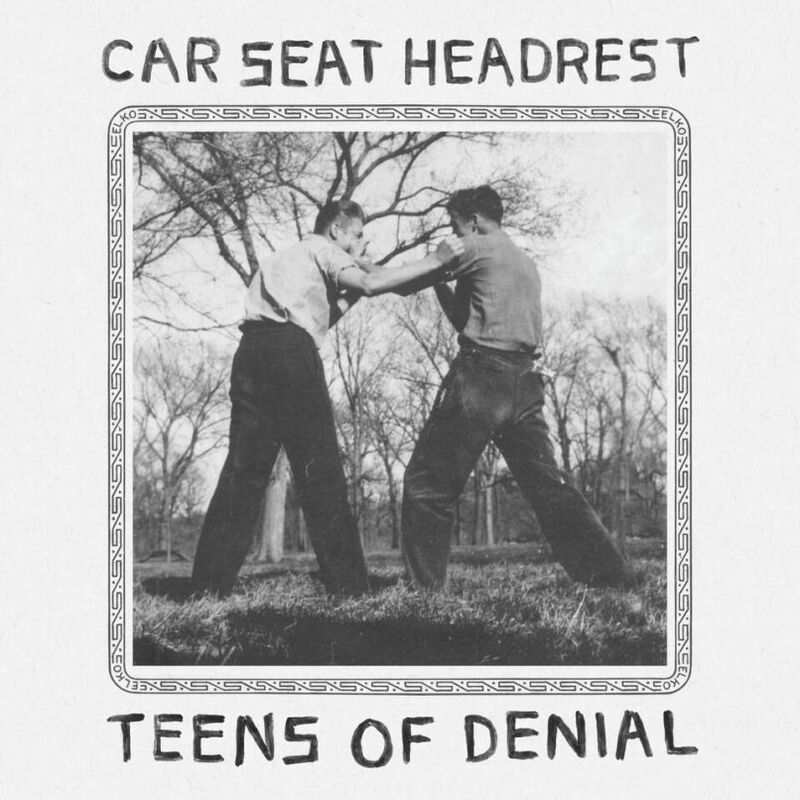 Close behind was the inspired album by Car Seat Headrest, their proper label debut. It was a thrilling and exciting ride with epic melodies and bang in your heart moments. But there were other great albums released. 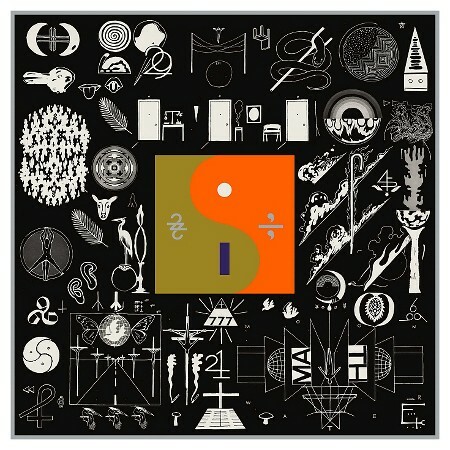 Bon Iver returned with a highly creative and very personal album. 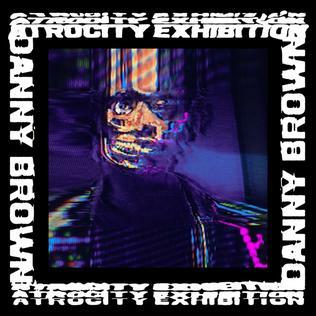 Whilst Danny Brown absolutely slayed with what I believed what was the best in hip hop in 2016. 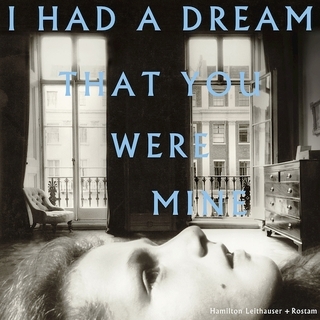 Another superb album in 2016 was when Hamilton Leithauser and Rostam (Vampire Weekend) combined for an exemplary album of sublime soul. Beyonce went above and beyond in her field of music, whilst Explosions in the Sky returned to show they had lost none of the magic. 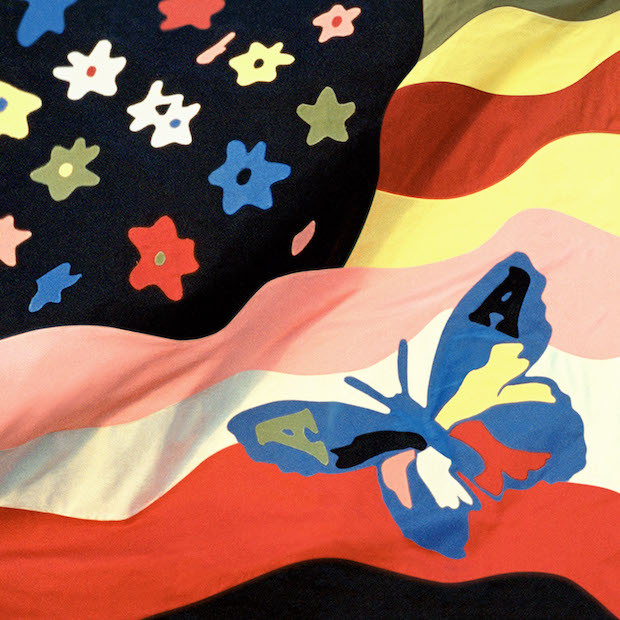 On the local front it was very exciting to see The Avalanches finally return after such a long time away with an album that was outstanding in every way possible. Outside of that it was slim pickings locally, although I did love the debut album from Melbourne's Camp Cope. Speaking of debuts it was exciting to hear great first records from Whitney, Pinegrove and Big Thief. All combining to make 2016 a very special year. Sometimes it just feels right. Perfect. Emotionally correct and powerful. An artist comes to you and you can't even imagine life without them. Car Seat Headrest is one such artist. The young prodigy is Will Toledo. Started as a solo bedroom project he churned out album after album of incredible music that was starkly original and stunningly brilliant. He caught the attention of esteemed label Matador and they asked him to put out a compilation of re recorded older songs. 'Teens of Style' captured me and I was hooked. Then in 2016 he made his label proper debut with the sublime and truly wonderful 'Teens of Denial', an album of stunning brilliance. But imagine having the chance to see them live. So Wednesday night at the Oxford Art Factory it came to being. It was to be the first show on their Australian tour and also their first show outside the US. It nearly didn't get started though as Will was here but the other three members were flight delayed. But thankfully they made it. The show was pushed back an hour and they basically rushed straight from the airport to the gig. And they slayed. A quick soundcheck and they launched into 'Vincent'. For an hour this band excited and stunned with a high energy and ecstatic gig that was thrilling and amazing. A great crowd sang to every word and danced with joy. 'Maud Gone' was impossibly sad. 'Fill in the Blank' was outrageously good. And 'Drunk Drivers/Killer Whales' was just, well wow you just had to be there. A Pixies cover ended the night in triumph. This band is the future of music. They have songs of extreme melody and glaring wit. And they rock hard, epic and triumphant. A beautiful thing to witness. Music is all powerful and emotionally important and last night was a pleasure unlike few others. This was a complete performance. An utterly thrilling, compelling display by an artist who had something to say and said it perfectly. PJ Harvey has just returned to our Australian shores and her Sunday night show was magnificent and glorious. Everything was in total symmetry and cohesion. From the opening seconds as bass drums serenaded the band on stage to the last curtain bow. Ms Harvey hardly uttered a word, except to introduce her band, but she was totally focused on giving us a complete show. Her last two albums have been concept albums, beautifully structured with the theme of the state of England and the USA being the focus. In light of this the opening part of the set showcased these two albums and the songs projected greatly in the live arena. Especially the haunting 'The Glorious Land' and the emotional 'Medicinals'. I think my favourite song of the night though was the beautifully melodic 'The Devil' although when PJ raised the roof with the epic '50ft Queenie' it had a great competitor. Oh, by the way her band was magnificent. Nine of them, all men, in complete sync with one truly great and spectacular woman. Nick Cave is truly an Australian music legend. His reputation as a performer and songwriter is immense and well held. Over many years he has thrilled us with his poetry and passion. Recently tragedy struck him when his son died in a shocking accident. After a period he returned to record an album of dark and stark beauty in 'Skeleton Tree'. Naturally there had been a time of laying low in the live arena. But now Cave and the Bad Seeds have returned triumphantly, touring Australia and playing 'Skeleton Tree' songs for the first time live. Friday night in Sydney they played the brand spanking new ICC Sydney Theatre as part of Sydney Festival. It was our first time at the venue and I was impressed. It has a rather large front standing area and high arching seating behind. Large but still somewhat intimate. As for the show, well it was pretty amazing. They opened with the exquisite 'Anthrocene', with Cave sitting alone at the front of the stage. They would open with three 'Skeleton Tree' songs and in total they played all bar one on the night. They went down a treat but of course it was the older songs that sent the crowd into a frenzy. Especially for me the supremely hectic 'From Her to Eternity', it slayed totally. As did the epic 'Jubilee Street'. 'The Ship Song' was radiant beauty whilst 'The Mercy Seat' assaulted us with incessant anger. An encore was highlighted by a fire and brimstone 'Stagger Lee', rounding up a two hour plus show that had everyone enthralled. Cave is truly a magnetic performer. Intimidating and thrilling. He commands a stage like few performers ever have. We have seen him and the Bad Seeds a few times now. It surely won't be the last. Years in film always feel somewhat book ended. The year starts with a splash as we receive the most critically acclaimed films filtering through. And then sometimes those film will hit us right at the end of the year. In between we get a combination of small independent films we take to our heart and big mainstream films that are hits at the box office although not films that I will make a connection with. So, in summary the best film I saw in 2016 was The Revenant, a dazzlingly beautiful film that hit hard and took my breath away. It looked like it might win Best Picture, but that went to well deserved winner, the beautifully acted Spotlight. Two films I would like to mention that didn't make my top ten but that I loved were the absolutely delightful Maggie's Plan and the extremely well written and acted Hell Or High Water. 1. The Revenant, directed by Alejandro Innaritu. The Revenant is a film of epic scope and breath taking beauty. It is also bleak, brutal and quite possibly not for every one. It's a stamina test. But I actually revel in this sort of film. I want my heart and mind pushed to the limit. This film does that. Inarritu is right at the peak of his powers. He thinks like few in modern day cinema, he works in the manner of Malick and I believe he has possibly usurped that great master. His films are cinematic in the extreme, using natural light, long takes and demanding brave performances from his actors. They are emotional litmus tests. His latest is based on true events in 19th century American frontier land. An expedition of hunters and trappers is attacked by Indians. There are many deaths, but some men survive. 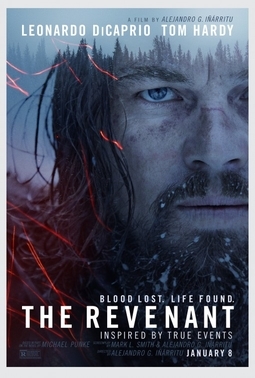 One of them, Hugh Glass, is later attacked by a bear and barely survives. What happens next is a brutally epic tale of survival and ultimately revenge. All aspects of this film approach perfection. The cast, in extreme conditions is superb. DiCaprio has never been better. The score is original and apt. And the cinematography by Lubezki is stunning to say the least. From first frame to last I was continually gobsmacked by the imagery. I don't think I have ever seen a more beautiful film. If there is a slight fault it's definitely not a tender film. These are primal emotions. Hate, duty, pride, fear, revenge. It will leave you shattered and spent. 2. The Big Short, directed by Adam McKay. The Big Short is a dazzling film that both entertains and informs. It is wickedly funny and dramatically sound. The director, Adam McKay, has come from comedy and it shows. But it is nuanced and clever and it blends extremely well with the dramatic moments. The story of the 2008 GFC is told in such a way that it is never dry but instead it is bold and full of pathos and humour. Combine a great script and great acting and the results speak for themselves. Using many great narrative devices it is edited in such a fashion to continually push the story along. As said the cast are great but special mention should go to Carell and Bale whose characters are played with precision and humanity. This is also an enlightening film. I certainly learned a great deal whilst being totally entertained at the same time. 3. La La Land, directed by Damien Chazelle. La La Land will make you smile for days. It's a small miracle of a film that is heart warming, dazzling and uniquely beautiful. Damien Chazelle came to notice with the excellent Whiplash and in this film he has gone up a notch with a film that totally delights all the senses. And what's more it's a musical! Set in modern day Los Angeles we cross paths with Sebastian, a jazz lover, and Mia, a struggling actress. They have dreams but reality keeps knocking them down. They fall in love but can they find true happiness in their careers. This special film is about following your dreams and keeping the passion alive. The two leads Gosling and Stone are just superb. They have amazing chemistry and loads of charisma. And they are pretty talented. They aren't amazing singers but they carry the film and it just ads to the charm. The musical numbers are just magical with great homage being paid to the classic musicals of Hollywood. Leave your cynic's mind at the door and just revel in a beautiful piece of cinema. 4. Spotlight, directed by Tom McCarthy. Spotlight is essential viewing for two reasons. It's an important subject that needs airing and it also a film of superb writing and acting. Set in 2001 at the offices of the Boston Globe, Spotlight is an investigative team that painstakingly researches stories. After a new editor comes to the paper they dig into rumours of priestly sexual abuse over decades. What they find is a landmine of abuse and cover up. This is a quietly powerful film that slowly ratchets up the drama. It is understated and lets the story do the work. A fine cast leads the way with Schreiber and Keaton especially shining. In the end I found it very sad, the story of abuse is damning and profound. This fine film is also an ode to journalism. 5. Room, directed by Lenny Abrahamson. Room is an emotionally powerful film about survival and love. It is devastating and yet also uplifting. Based on a successful novel it tells the story of a mother who has been kept captive in a room for 7 years. To add to the tragedy she has mothered a child, Jack, who is now five. Together their unique bond carries them through this awful episode. Brie Larson is truly incredible as the mother who must find a way to have her son survive and also keep her own sanity. The film is divided into two parts and both work well as a display of humanity and its strengths and also its weaknesses. This is a sharply observed film full of emotional stomach punches and wonderful performances. 6. Arrival, directed by Denis Villeneuve. Arrival is a film to launch a thousand conversations and pose a hundred questions. A seemingly straight forward science fiction film becomes a challenging think piece that is a provoking look at humanity and how we communicate. Like the best science fiction this superb film looks inward at humanity rather than outward at the skies. 12 mysterious spacecraft land on Earth causing alarm and panic. Two scientists are recruited to try and find ways of communicating. What unfolds will leave you spellbound and probably a little bewildered. As each scene unfolds we think we know a little more but there are twists and surprises that ultimately reveal much more than we first thought. After the sublime Sicario Denis Villeneuve shows he is a force to be reckoned with. His films combine sound and sight like few others. Aided by superb performances by Adams and Renner this is a wonderful film that will make you think about the nature of time and the marvel of communication. 7. Steve Jobs, directed by Danny Boyle. Steve Jobs is a masterclass in acting and writing. It is powerful, dramatic viewing. Aaron Sorkin is the master at writing great dialogue and here is no different. Under the direction of Danny Boyle this is a taut, smart film about a big personality. It is a three act affair, with each being set around the launch of a key Apple product. It is a great insight into the mind and personality of Jobs, a flawed man with a huge talent for knowing product. Fassbender is his usual superb self in the title role. His acting is deft and truthful. Seth Rogen is also adept in a key role. This isn't a film with a lot of moving parts. It's quite stationary but it will please fans of great words. 8. Paterson, directed by Jim Jarmusch. Paterson is a tender appreciation of the inner magic of life. Jim Jarmusch is expert at providing gentle and poignant observances of the world around us and he has succeeded here again. Adam Driver is superb as Paterson, a bus driver, in the New Jersey city of Paterson. We follow him for a week, methodically seeing his unchanging daily routine. And even though his life seems small and inert there is a show of tenderness at each step in his relationship with his wife and the people he encounters daily. He writes poetry to make his life and this film is like a poem in its rhythm and cadence. It's a slow paced film and Jarmusch never succumbs to obvious drama to crank up the action. Instead he relies on the humanity of the piece to make it all work beautifully. Midnight Special is a uniquely intelligent, finely crafted film that really defies to fit into any particular genre. It's part thriller, part family drama, part chase film and also part Sci-fi. It takes its time, allowing layers to be carefully pealed back to reveal a considered story that will fascinate and reward. Alton Meyer is a young boy who is clutched by his father from the claws of a cult in Texas. Michael Shannon is supreme as Roy, the father, who is desperate to help his son. But his son is something special and his wanted by the FBI and also the cult. I can't really give to much else away that would spoil the movie but this film will surprise and entertain you as it builds to its finish. The acting and writing is first class. 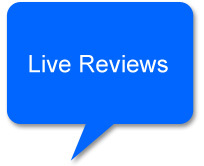 It has great emotional depth and fierce integrity. Jeff Nichols is one of the most interesting directors working today and his latest film is another credit in his bank. 10. The Hateful Eight, directed by Quentin Tarantino. Quentin Tarantino has crafted another expertly made film that satisfies on many levels. His eighth film (as stated in the opening credits) might not be his best but it is still important and vital to lovers of cinema. This film moves at a slow pace but it never feels long. That is probably because it is so well constructed. Every action has a meaning and it slowly reveals its secrets in delightful ways. It has many Tarantino tropes such as extreme violence and witty dialogue but it is actually not amazingly funny. There is dark humour but this not a laugh out loud film. The story of characters snowed in during a Wyoming blizzard in the 19th century is a western who dunnit with elaborate dialogue and built up tension. Beautifully shot in Panavision by Robert Richardson this film, after a slow beginning, will grip you and fascinate you. Recently my wife made a pilgrimage to San Francisco to see Sleater-Kinney. It was a long way to go to see a show but I perfectly understood. Sometimes a band or artist can take a grip on you and the need to see them live is immense. For her Sleater-Kinney are one such band. 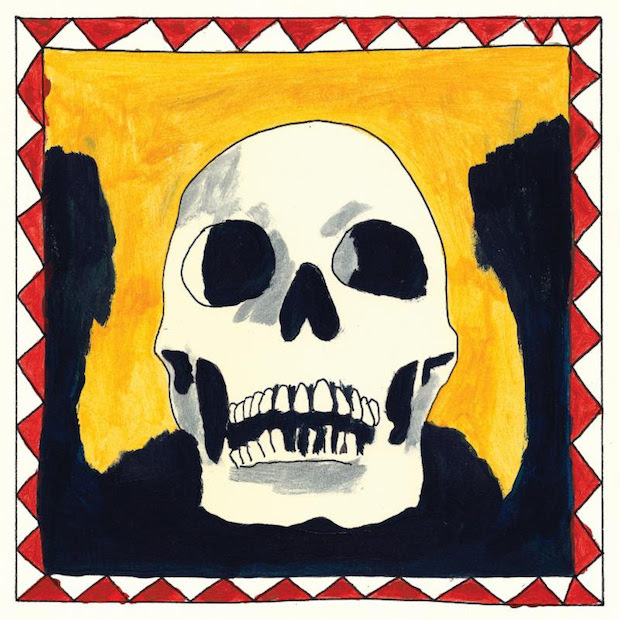 This band recently returned to the world after a lengthy hiatus. We saw them in March at the Sydney Opera House. Probably not the right venue for them but that's a whole another story. They were great and one of the best shows of the year. But my favourite show of the year was Godspeed You! Black Emperor. There is no band on earth like them. They are sedate on stage but their music can move mountains. They are epic and immense like no other. In the battle of bands they win. A close second was the return of Gillian Welch. There are no words. Kevin Morby took out this crown in 2014 with the glorious "Parade" and he is has down it again with the greatness that is "Dorothy". There were many wonderful songs released in 2016 but "Dorothy" stood out for its beauty and heart. Once again, a limit of three songs per artist.